We have never heard of langos (pronounced lon-gosh) before we saw this recipe on 3Foragers. 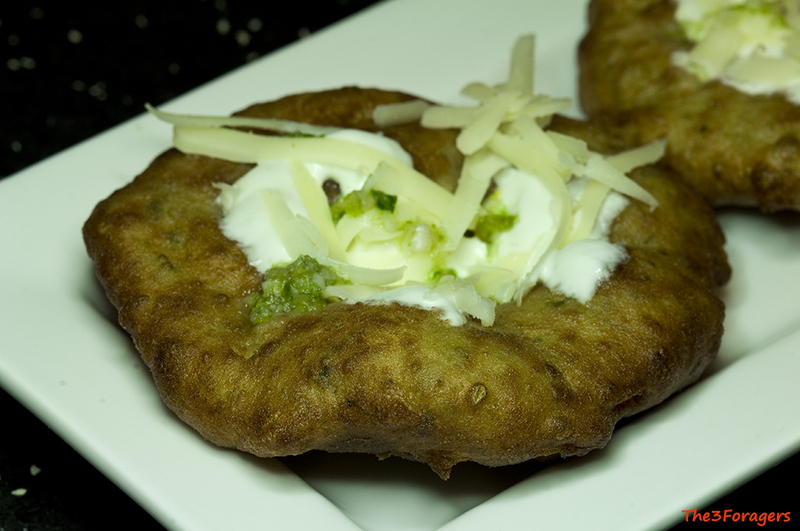 Langos are the Hungarian version of fried dough, and as Southern women, you know we like just about anything fried, especially dough! 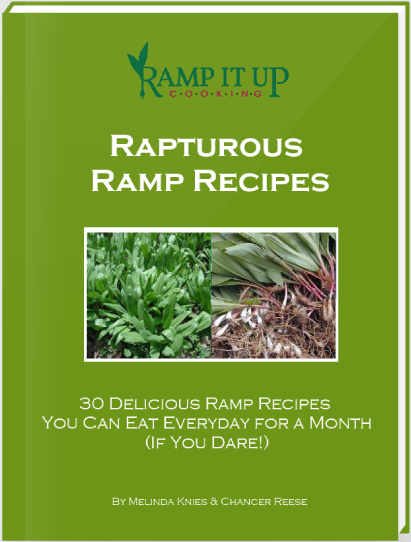 Plus when you add in ramps (fresh or dried) now you have yourself a ‘Ramp Queen’ winner. 1. Peel, cook, and run the potatoes through a ricer to get lump-free mashed potatoes. Cool to room temperature. 2. In a mixer bowl, add the potatoes, yeast, warm milk, sugar, pureed ramps, flour, and salt. Mix with the dough hook until a sticky ball forms. Let the dough rest, covered, for 1 hour. 3. Punch down the dough and place it on a well-floured cutting board. Divide the dough into 8 pieces. 4. Heat about 1″ of oil in a pot to 350°F. 5. Flatten out a piece of dough into a circle about 8″ around and only about 1/4″ thick. Gently place the dough in the hot oil, pressing down the center with some tongs as it starts to fry. Fry until browned, about 30 seconds, and flip the dough over, frying the other side another 30 seconds, or until browned. The langos will puff up quite a bit. 6. Drain the langos on some paper towels briefly, and serve topped with sour cream, shredded cheese, and the ramps sauce condiment. 1. Very finely chop the ramps stems and leaves, almost into a paste. Place it in a bowl and sprinkle the salt on top, letting it rest for 20 minutes. 2. Add the water and the vinegar and stir. This is a very watery and loose condiment, meant to soak into the langos. Spoon over the hot langos, depending on taste.